Have you checked out Tip Nut? I'll have a few projects for you this coming week but in the meantime I stumbled on an awesome website I wanted to share with you. 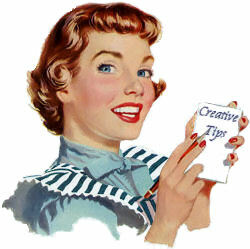 www.tipnut.com there are ALL kinds of tips here from Kitchen to Crafts and so much more. You must check it out. I found one section called 60+ Craft Ideas. http://tipnut.com/craft-bump-projects/ there are a few I want to try.